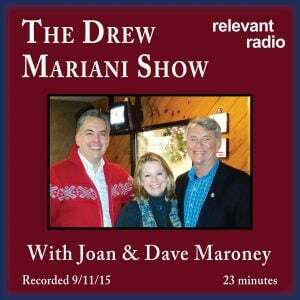 Enter into a ‘fascinating conversation’ with Dave and Joan Maroney and Drew Mariani. Topics include the upcoming 80th anniversary of the Chaplet of Mercy, the relationship between Poland, the Chaplet and abortion, the Divine Mercy for America prayer campaign and more. Visit Relevant Radio to tune in to Drew and much more. In 2012 Dave and Joan launched the Divine Mercy for America Campaign and Network to encourage people to pray for countries as the Lord instructed St. Faustina. Visit divinemercyforamerica.org to sign up and learn more. To download this file click on the download link at the top of this page.